JCYC Today Over the past four decades, JCYC has become one of San Francisco’s most successful youth organizations. 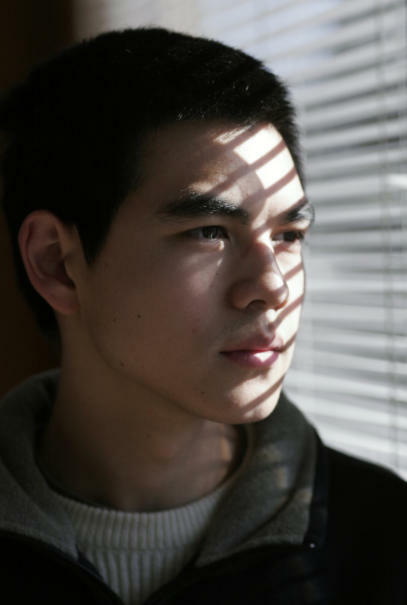 While still committed to children and youth from the Japanese American community, JCYC has evolved and grown into an organization, which annually serves over 6,000 young people from all socio-economic and ethnic backgrounds. Through a continuum of services, JCYC programs can support children and youth from the time they start pre- school until they are ready to move onto college. In addition to providing direct services, JCYC has also organized and continues to lead some of the largest and most successful youth collaborations in San Francisco. Our Mission JCYC’s mission is to cultivate and enrich the lives of children and youth from diverse, multi-cultural communities throughout San Francisco and beyond. Our Vision On the path to accomplishing their dreams, our children and youth will contribute to tomorrow’s generations, and be healthy and productive members of our community. Our Values Community We foster a collective desire and passion to support the healthy development of children and youth. Diversity We respect and embrace the differences that make all members of our society unique. Integrity We conduct ourselves in a manner that is worthy of the trust and confidence placed in us by the communities we serve. Cooperation We build strong partnerships to ensure we have the greatest impact on children and youth possible. Compassion We see in a child that which they cannot see in themselves. Vision Like a child, we look ahead with imagination and without limits. Prior to World War II, large concentrations of Japanese settled in a small area of San Francisco’s Western Addition known as “Nihonmachi” or Japantown. However, due to the World War II internment and subsequent urban redevelopment projects that originated in the 1950’s, Japanese American families were eventually dispersed throughout San Francisco. As Japanese American residents slowly moved away from the Nihonmachi area and tourist oriented, commercial businesses emerged, the community’s social fabric began to change. In 1969, a collection of Japanese American youth organizations established a youth council. The intent of the council was to serve as a forum for sharing information, discussing issues affecting young people, and to help re-establish Nihonmachi as a center of activities for Japanese American youth. This council eventually came to be known as the Japanese Community Youth Council. As the council began to address the concerns of youth, it identified the need for a facility. A vacant, two-story building on Sutter Street was transformed into the first JCYC facility and was the genesis for the eventual development of a multi-service community center. In May of 1970, JCYC was officially incorporated as a non-profit organization. About Us Our Mission JCYC’s mission is to cultivate and enrich the lives of children and youth from diverse, multi- cultural communities throughout San Francisco and beyond. Our Vision On the path to accomplishing their dreams, our children and youth will contribute to tomorrow’s generations, and be healthy and productive members of our community. Our Values Community We foster a collective desire and passion to support the healthy development of children and youth. Diversity We respect and embrace the differences that make all members of our society unique. Integrity We conduct ourselves in a manner that is worthy of the trust and confidence placed in us by the communities we serve. Cooperation We build strong partnerships to ensure we have the greatest impact on children and youth possible. Compassion We see in a child that which they cannot see in themselves. Vision Like a child, we look ahead with imagination and without limits. 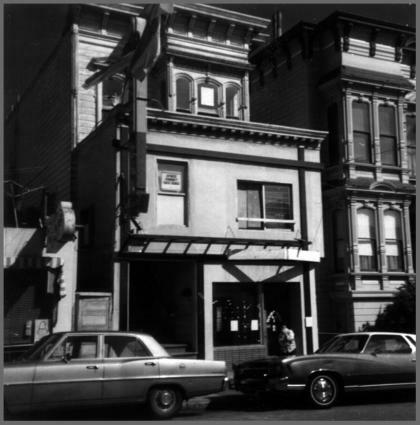 History Prior to World War II, large concentrations of Japanese settled in a small area of San Francisco’s Western Addition known as “Nihonmachi” or Japantown. However, due to the World War II internment and subsequent urban redevelopment projects that originated in the 1950’s, Japanese American families were eventually dispersed throughout San Francisco. As Japanese American residents slowly moved away from the Nihonmachi area and tourist oriented, commercial businesses emerged, the community’s social fabric began to change. In 1969, a collection of Japanese American youth organizations established a youth council. The intent of the council was to serve as a forum for sharing information, discussing issues affecting young people, and to help re-establish Nihonmachi as a center of activities for Japanese American youth. This council eventually came to be known as the Japanese Community Youth Council. As the council began to address the concerns of youth, it identified the need for a facility. A vacant, two- story building on Sutter Street was transformed into the first JCYC facility and was the genesis for the eventual development of a multi- service community center. In May of 1970, JCYC was officially incorporated as a non-profit organization. JCYC Today Over the past four decades, JCYC has become one of San Francisco’s most successful youth organizations. While still committed to children and youth from the Japanese American community, JCYC has evolved and grown into an organization, which annually serves over 6,000 young people from all socio-economic and ethnic backgrounds. Through a continuum of services, JCYC programs can support children and youth from the time they start pre-school until they are ready to move onto college. In addition to providing direct services, JCYC has also organized and continues to lead some of the largest and most successful youth collaborations in San Francisco.